Where did all my stuff go?? If you can't access your data files and you suspect your hard drive has failed, you need to power down and call us. If the hard drive has not overwritten the data, there is a good chance it can be recovered. Continuing to use the computer may make it impossible to recover the data. Should I try various data restore methods before calling? Not a good idea. Without the proper expertise in data recovery, you may accidentally render the storage media completely useless. Each attempt to restart a hard drive may cause directory or other system control information on the device to change. The more attempts at restarting a corrupted device are made, the less likely it is to recover the data. How do we decide which recovery method to use? Every case is a little different. A key consideration is understanding how valuable the data on the damaged device is. Some recovery methods are more effective than others, but take longer and are more involved. Hence the method used, which will increase or decrease the probability of recovering the data, depends on the approach you allow us to use. In addition, once they are used, they reduce the probability of successful recovery with the more advanced, time-consuming methods. If recovery of your data is critical, we will establish a recovery plan aimed at maximizing restoration probability. 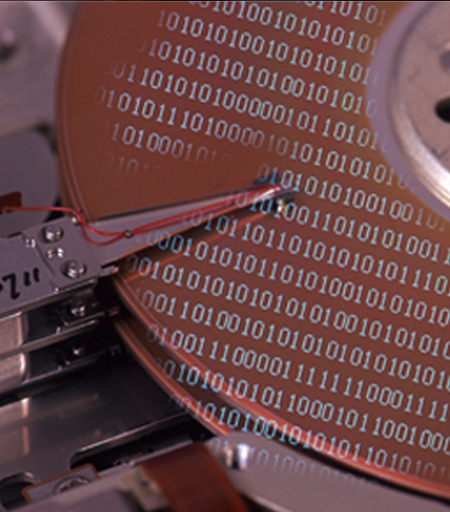 If your data can be recovered, we will do it! Before calling, what information do I need to gather? COPYRIGHT © 2006-2007 CDC PC Consulting. ALL RIGHTS RESERVED.